Elmer (Jusaino) Dessens was born on January 13th 1971 in Hermosillo Sonora Mexico. The five foot eleven right handed pitcher was signed by the Pittsburgh Pirates in 1993. Three seasons later, Dessens was pitching in the big leagues, spending three seasons seeing brief action in the Pirates bullpen. Hewould become a journey man pitcher first as a starter in Cincinnati with the Reds (2000-2002). In 2000 he was 11-5 with a 4.28 ERA then going 10-14 the next year pitching in 205 innings. In 2002 he posted a 3.03 ERA which was 6th best in the NL. He would move on to the Arizona Diamondbacks (2003-2004) and eventually become a middle reliever. He pitched for the Los Angeles Dodgers (2004-2006) Kansas City Royals (2006) Milwaukee Brewers (2007) Colorado Rockies (2007) & Atlanta Braves (2008) before signing a minor league contract with the New York Mets in 2009. He began the year at AAA Buffalo and was 3-2 with 11 saves posting a 2.31 ERA with the Bison's before getting called to the Mets staff in June. 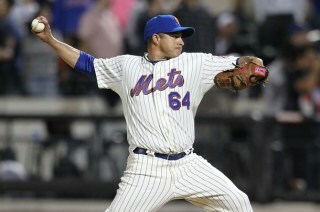 Dessens debuted at Citi Field pitching two innings of a 3-0 loss to the St. Louis Cardinals. He next appeared in the subway series where he allowed three runs in his first of two game appearances. He pitched in 28 games for the Mets earning no decisions posting a 3.31 ERA with 14 strike outs in 32 innings pitched. In 2009 he was the team captain for Mexico in the World Baseball Classic, going 1-0. 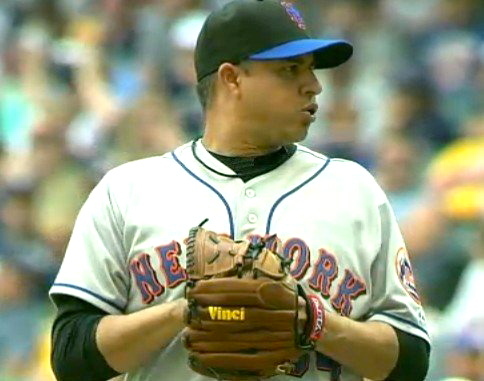 In 2010 he was 5-0 with six saves at AAA Buffalo getting to the Mets staff at the end of May. In his first game he allowed two runs to the AL New York team taking a loss in the subway series game at Citi Field. On June 8th he was credited with his first Mets win when Ike Davis hit an 11th inning walk off HR. He would earn another win in Florida at the end of the month, and another in Houston a month later. Dessens pitched well getting credit for 11 holds, posting a 2.30 ERA while going 4-2 with just one blown save in 53 appearances. He was nicknamed by a sportswriter as "Unknown" because he will work in any pitching capacity the Mets put him in & yet he always flies under the radar. He was granted free agency in the winter and wasn't signed. 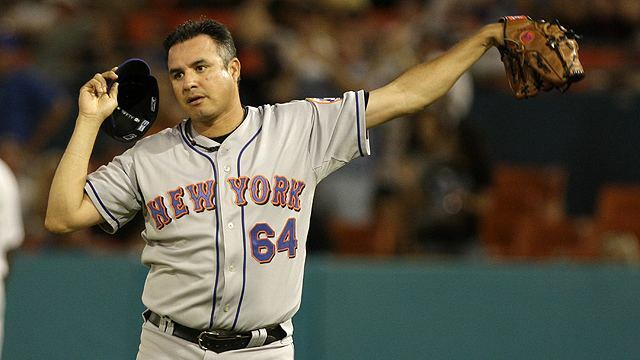 He ended his big league career at 52-64 with 5 saves a 4.44 ERA 693 strike outs & 348 walks in 441 appearances.